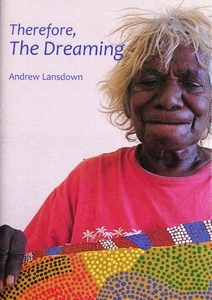 This short collection contains ten poems and two short stories dealing with Australian Aboriginal themes/subjects. that’s how black he is, this Kimberley man. He has come to the school for the didgeridoo. he is playing it now in the literacy room. for the afternoon. He is playing it now. as the pipe drones at his feet. he says. I do not understand. Lillgah, he says, slowly, several times. I cannot get it right. Lillgah—like tuning. Making didgeridoo same as singer. is chanting in the channels of his ear. to the key and rhythm of the voice. with one blower, he get another. it could be otherwise. Some singers are high. must be the same. See? He plays again. A different rhythm. his keys. O freedom! I do not look up. striking up a resonance in my soul. at the heart of every man. the young girls come in. Jdirree-jdirree. movements with his torso. Wanga. That the Law. The women start first. tempered by new rhythms and sounds. a brolga begins to dance and cry. He is rehearsing his life. his heart to a symphony of longing. he’s playing all day. Never stop. He be giving me his wind. to play all night for corroboree. I only play short time. For fun. You know? Maybe for white people too. For fun. Like frogs. Gningi-gningi. I can’t catch the words. he cut his tongue with spinifex. down the tip. Yours cut? I ask. he listens. He hears. He gets the wisdom of it. He cuts his tongue, gets plenty sounds. Plenty wind. Like tortoise. Like crocodile. You know? His gaze is distant. is good. You know? Get respect. Get proudness.